The concept – and the name – were the brainchild of the school division’s Executive Director of Facilities Services Tony Arnold. 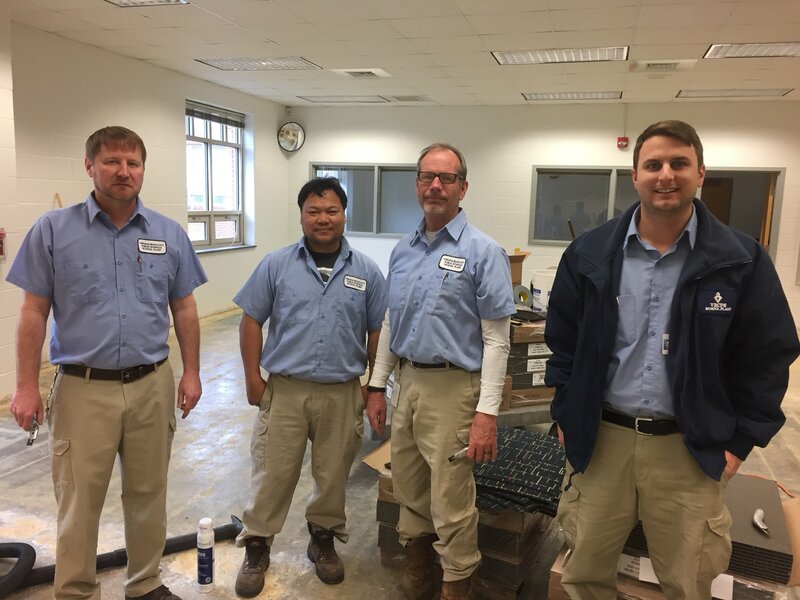 Without hesitation, School Plant, the office that repairs and builds items across the school division, volunteered to remove the fixed furniture, patch walls, paint, install carpet and even build most of the cabinetry. #FlipMyLibrary was now more than just replacing furniture. 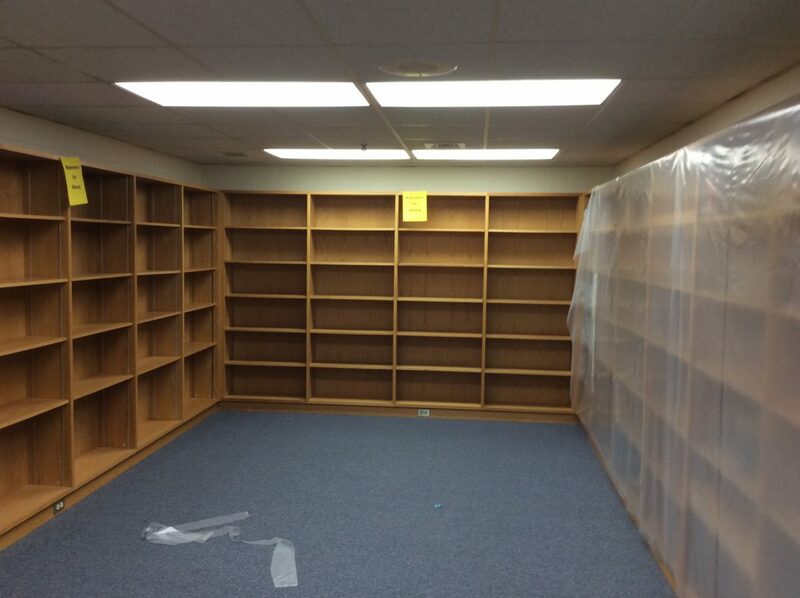 “We then asked all librarians to tell us about what they would do to create their dream library,” said VBCPS staff architect Don Bahlman, who is managing the project. To narrow the field down to the 16 projects that the $2.1 million capital improvement project (CIP) could fund, schools were invited to submit proposals. And proposals rapidly rolled in. Some schools submitted videos, others submitted floor plans, and a few sent visual aids. What were the wish list items that floated to the top? “Just having the availability to reconfigure the library so it will work for students as well as staff was important,” according to Faulkner. “We want students to be able to move around and have flexible groups, especially in our library. It was very small down there,” she said, recalling the fixed bookcases that were affixed in a perpendicular fashion to the walls. Not only that, but large immovable bookcases were attached to the floor in the middle of the library. Alanton’s library media specialist Heather Thomas agreed. For Thomas, the flexible spaces and moveable furniture will better suit the school’s needs. Alanton’s library will also have a reading lounge where students will be able to comfortably sit on couches or chairs to enjoy a good book. The school also chose to take out all desktop computers and instead replace them with kiosks where students will be able to search for books. For their work, students will be able to use the devices and other new technology that the school purchased specifically for the library, including 25 virtual reality goggles. “Students can basically now tour the world right here in the library,” Thomas said describing the goggles and other technology that were purchased with book fair money that she had been banking over the last two years in order for the school to make improvements to the library. But now, thanks to the #FlipMyLibrary projects, Thomas instead was able to purchase materials for the library. 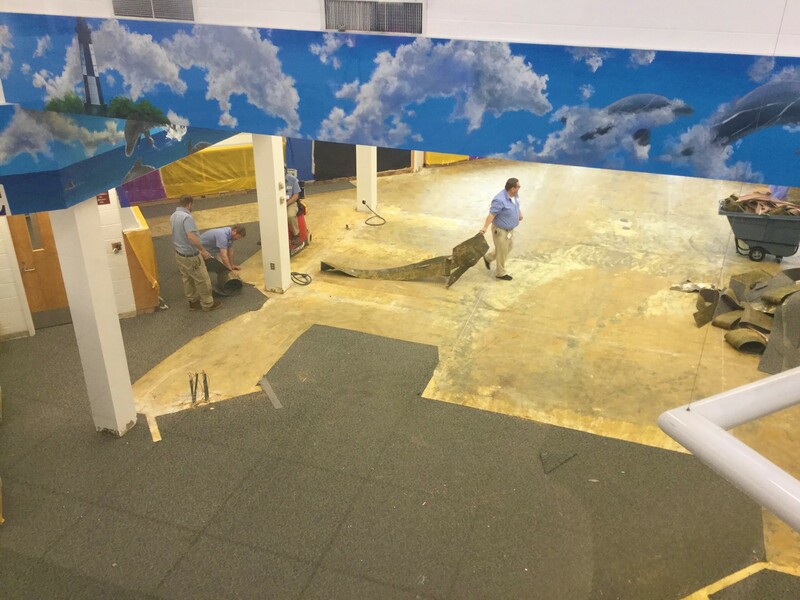 As the first groups of libraries undergo their makeover, students are following the progress. At Corporate Landing Elementary School, students walking by can be seen peeking in through the glass windows. The school even taped up the new floorplan for students to follow the changes. Over at Alanton, Garren said School Plant workers have welcomed bringing students in and even seek their opinions. According to Garren, seeking staff and student input started in the beginning with paint colors. Students even had a say into how the carpet squares would be laid. 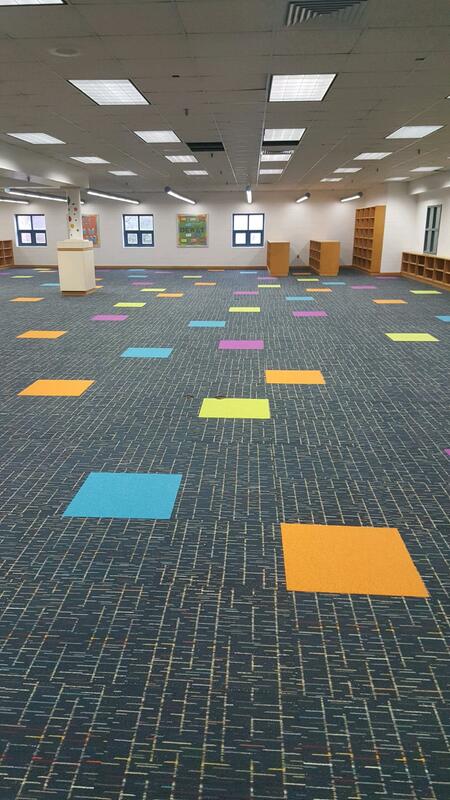 “When the carpet squares came in, they asked the kids what they thought and were giving them options by zigzagging the squares for them or placing them all in one direction. It was fun,” she said. Students and staff at Alanton won’t have to wait much longer to see the finished product. Their library, which was the first one started in January, is scheduled to be completed right after spring break. Although the library will open its doors at that time, the school is also planning a celebratory grand opening the evening of April 18, which coincides with the school’s “Young Authors Night” with parents and students. All 16 renovations, which are staggered to suit the programmatic needs of each school, are scheduled to be finished by Labor Day weekend in September.